So, I went to HK on 9th March, I was told that the weather is still quite cold there by Yennyca (who visited HK 2 weeks before me). So I prepared some light coat and sweathers. 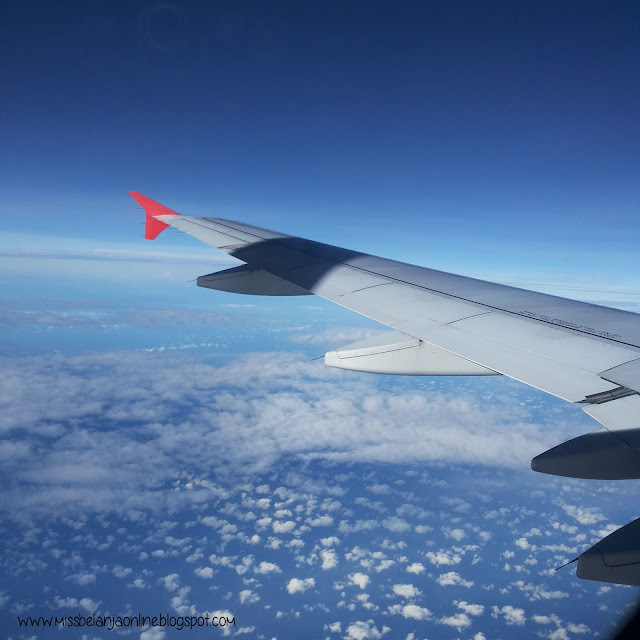 Turns out when I arrived there, the weather was VERY COLD and the temperature was dropped to 10 degree celcius. brrrr.. Well, I expect cold weather but not this extreme, especially my hometown is famous for its hot weather eventhough now is rainy season. 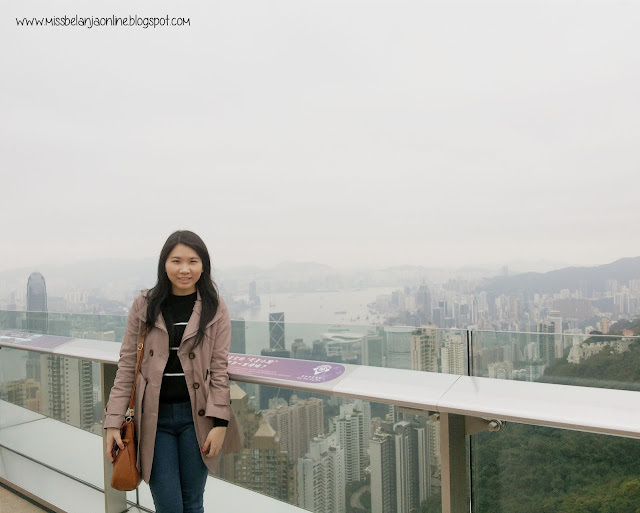 This is the second time I went to HK, so I've already visited most of the tourist attractions in the city (But I still missed Disneyland hikz. 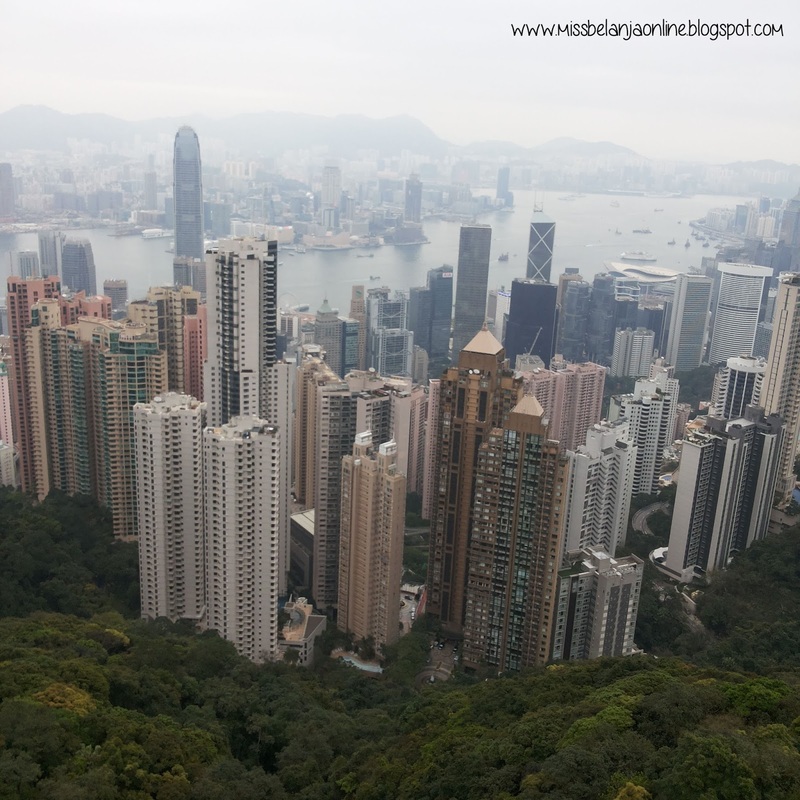 When the first time I went to HK on 2013, I promised myself that I will be back to go to Disneyland. Now 3 years later, I'm back but still can't go there..hikz. It's okay, I will save it for my next trip to HK again *cross finger*), But this is the first time for my parents. So I take them to visit the Victoria Peak *my mom insist to go there, even though the weather is very cold*. 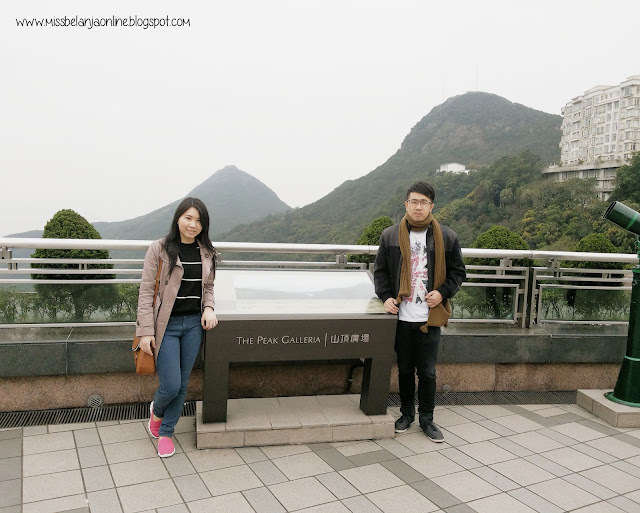 I want to take the peak tram, as I can't ride it before. But the queues are very crowded. So we decided to took taxi to the Peak. The view from the Peak! You can see all the tall buildings all over the city. Except the Peak, I also went to several night market like Temple Street night market (located at the back of our hotel so we visited there everyday), Ladies Market (thankfully not as crowded as people said, maybe due to the cold weather. The price here are super expensive compared to Temple Street. I got 2 set of magnets for HKD 80, while BF bought 4 set for HKD 65 at Temple street. Next time I went back to HK, must remember don't buy souvenir from there), and also Jardine's Cresent (the market sell mostly daily needs, the clothes are quite aunty style. So, I just look around and didn't bought anything). My Opinion: So Overrated! I want to try this because many people said it was delicious and worth waiting. I ordered the famous Oyster cake and 2 claypot rice (1 with sausage and 1 with pork and salty vegetable). The one with sausage came first and the appearance looks very sad. The rice was burnt on the bottom side and the rice was served plain. 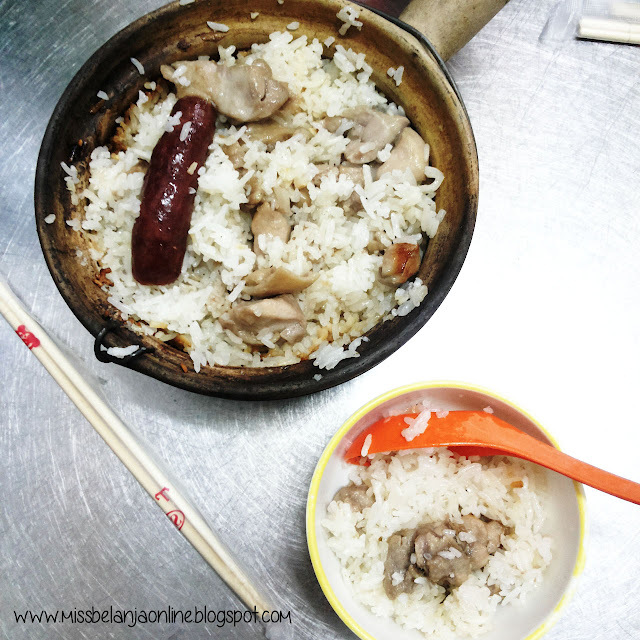 It's like you put white rice on a hot claypot and topped it with a sausage. done. To season we need to do it ourself with the soy sauce provided. But the taste still bland for me. Fortunately the second claypot taste better with the help of the pork flavour and salty vegetable. 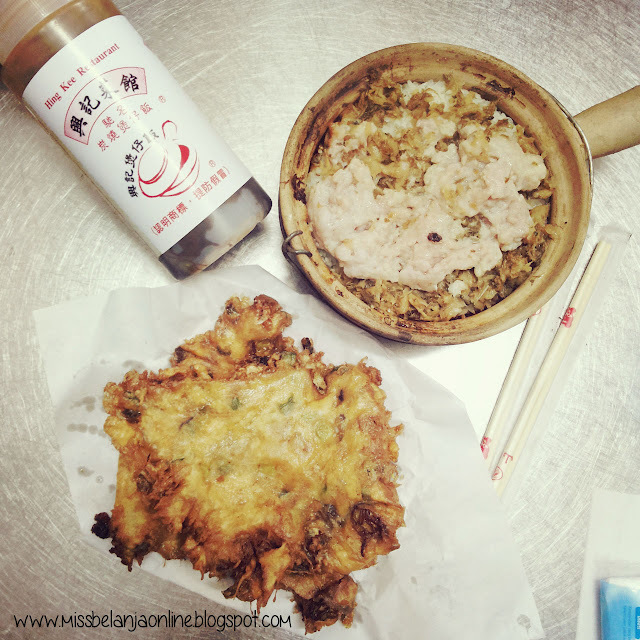 The oyster cake is just okay. 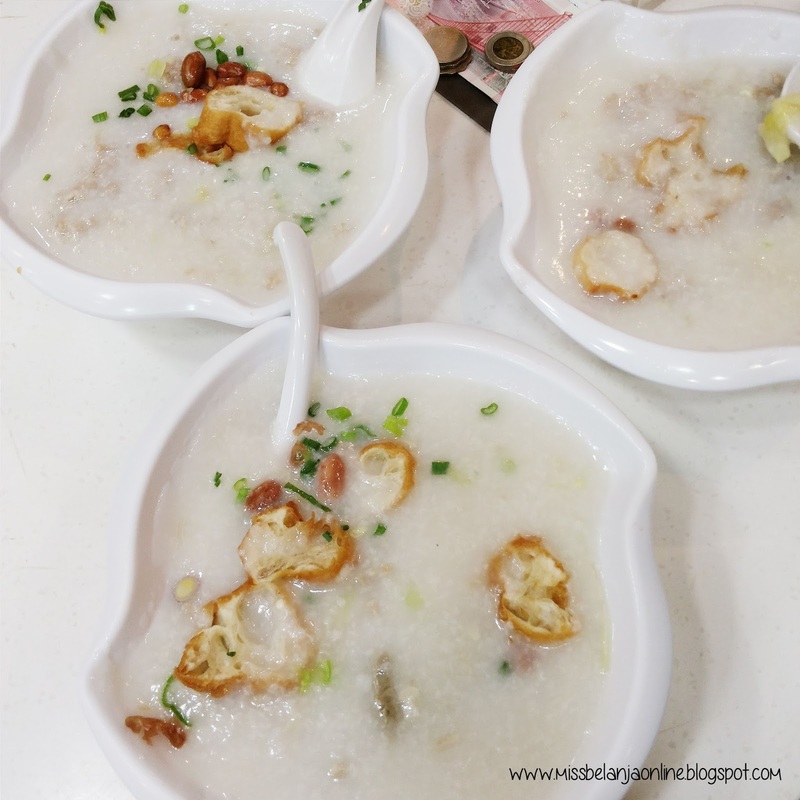 Congee at Ocean Empire Food Shop (located very near with our hotel and near MTR station, so we decided to have breakfast here). My Opinion: It was Good! 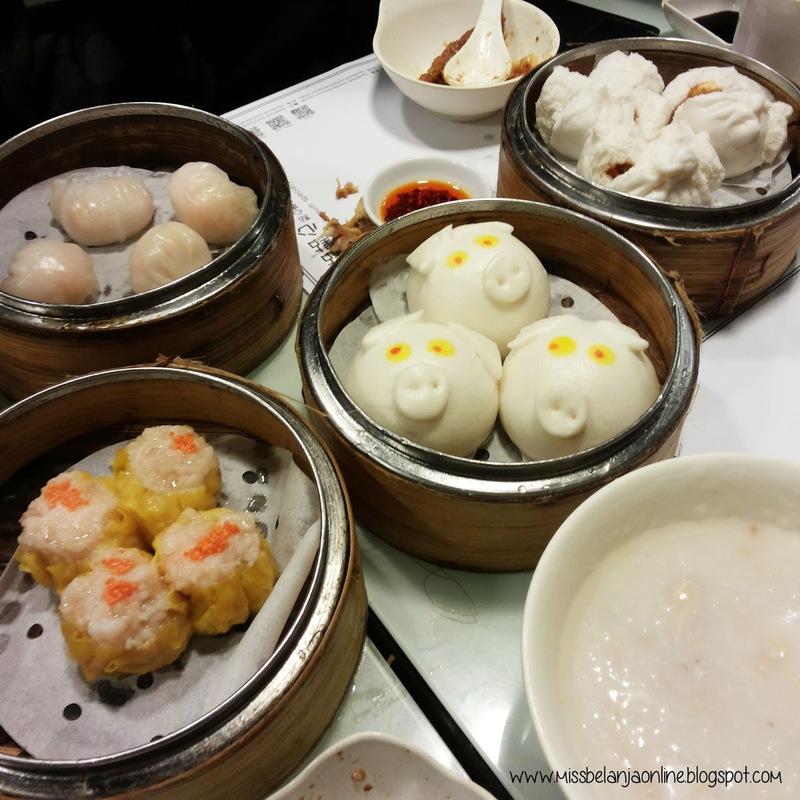 The texture is a little bit too runny but I prefer that kind of texture rather than thick porridge. The Cakwe (I just knew the english name for this food is Chinesse Donut lol) is very good. No wonder every table has it as their side food. The portion is quite big, so next time went here must remember to share. My Opinion: Good! 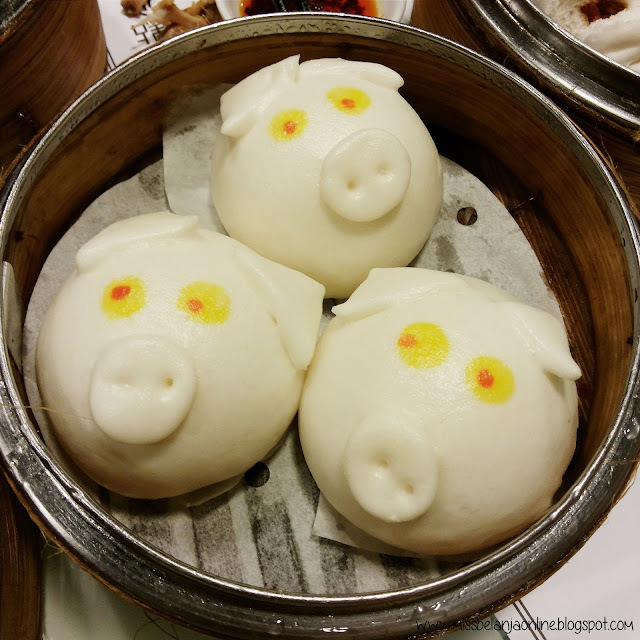 the piggy custard bun is my favourite. The fried wonton is the only thing I hate. The shrimp is so small and the oil to fry the wonton looks like already used for several times. It has english menu so we can order easily. 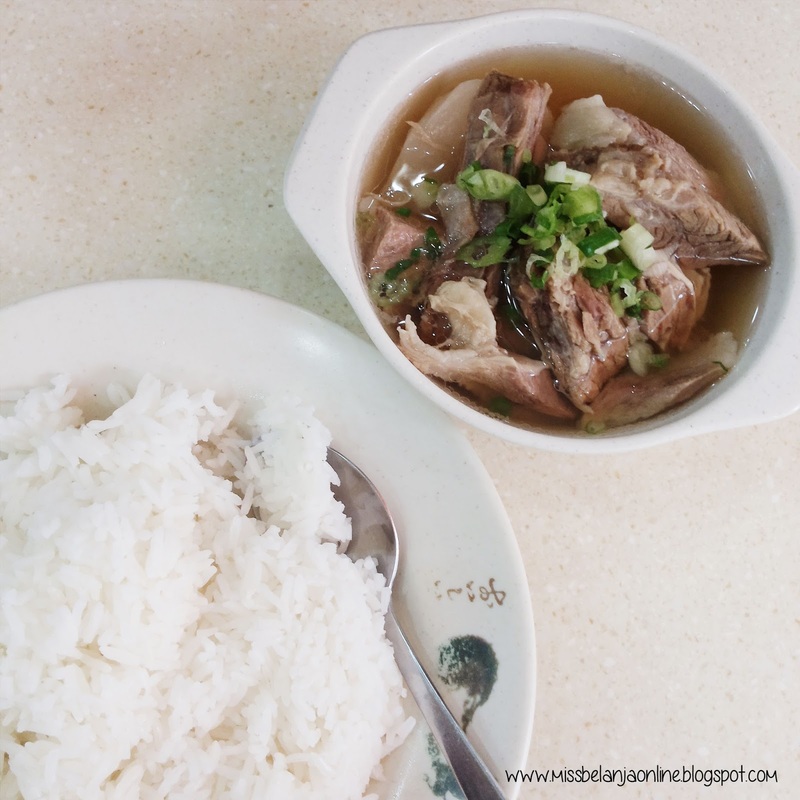 Beef Brisket Soup and Rice: The beef brisket is very tender and even melt without too much effort to chew it. The soup looks clear but the flavour is good. Serve with very large amount of white rice. Wonton Noodle: Sorry forgot to snap picture of it, but wonton in HK definitely really good. Stuffed with a lot of shrimp! Don't really like the noodle though. 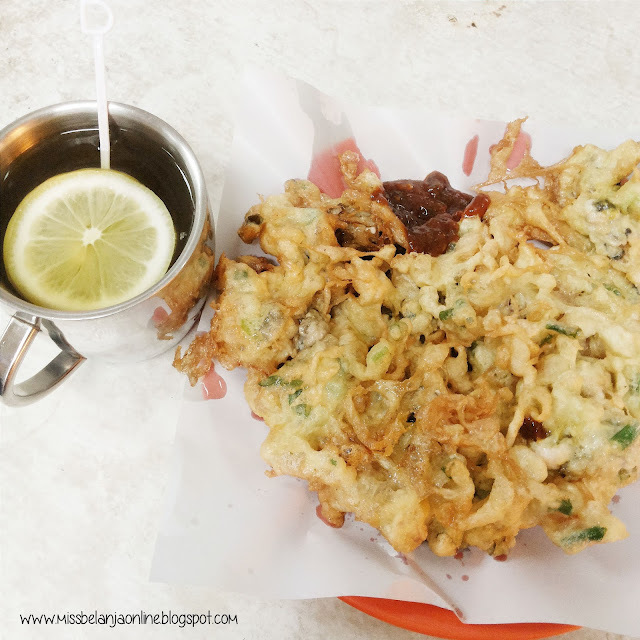 Oyster Cake + Hot Honey Lemon: This one is better than Hing Kee's the restaurant is beside Hing Kee. I prefer this one because it is more crispy and the sauce is more delicious. Honey lemon is my favourite drink in HK!! I don't really like Milk Tea (even though it's very popular). The sweet from the honey combined with the sour from the lemon makes a nice warm drink especially on cold day. aku juga ga kuat bebb, 2x kesana dan cuacanya kurang lebih aja.